No previous programming experience is required! Like spoken languages, R uses small units which work together to create more complex structures. On day 1, we explore these units so that you understand both their identity and how they work. We then spend time becoming familiar with them in isolation, so that everyone is comfortable with how they can then fit together. This provides the solid base needed to go forward with R for any area, from visualisation, to statistics, to text analysis. We also ensure that everyone finishes the day happy with how RStudio works and how data in brought into and out of it. 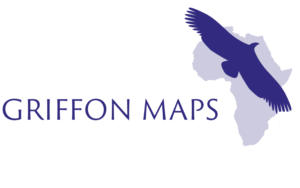 Using the skills from day 1, you will learn how to explore and present spatial data by making different types of maps. This will give you great control over your research as well as negating the need for expensive, commercial software. Data displayed like this gives instant clarity to information that is often lost in table or spreadsheet form. It is therefore critical not only in result presentation, but also in guiding the direction of analyses. We will cover the theory of exploratory data analysis, spatial autocorrelation and local clustering in order to understand what impact they have on your data analysis. Building from both previous days, you will learn how to perform spatial autocorrelation and local clustering analysis in R, as well as using the additional interactive visualisation platform GeoDa. Wednesday 12th to Friday 14th June 2019, 9:30am – 5pm. To register, please fill in the registration form: http://bit.ly/2Gebi1c. Once you submit the form, we will send you payment details within 48 hours. Your place on the course will be confirmed as soon as we receive full payment. This is a bring your own laptop course. 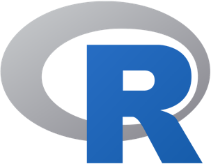 The software we use (R / RStudio / GeoDa) is all free and open source, and can be installed on Windows, Mac or Unix. We will provide installation instructions and support before the course. All fees include event materials, lunch, morning and afternoon tea for the three days. A full refund is available for cancellations before 29th May. Bursaries for research staff are available, details available at https://www.ncrm.ac.uk/TandE/bursary/. Please get in touch with specific requirements or questions.